According to the press office of the ATO headquarters, illegal armed groups opened fire on the positions of the Ukrainian Armed Forces in the Pavlopil area, violating the agreements of the Trilateral Contact Group on the ceasefire during the New Year and Christmas holidays. “Around 7 pm yesterday, December, 25 militants rudely violated the Minsk agreements, using 120-mm mortars on the defense fortifications of the Armed Forces of Ukraine in the Pavlopol area. The invaders used 5 mines in the direction of Ukrainian positions from the temporarily occupied village of Sosnivske,” the message says. 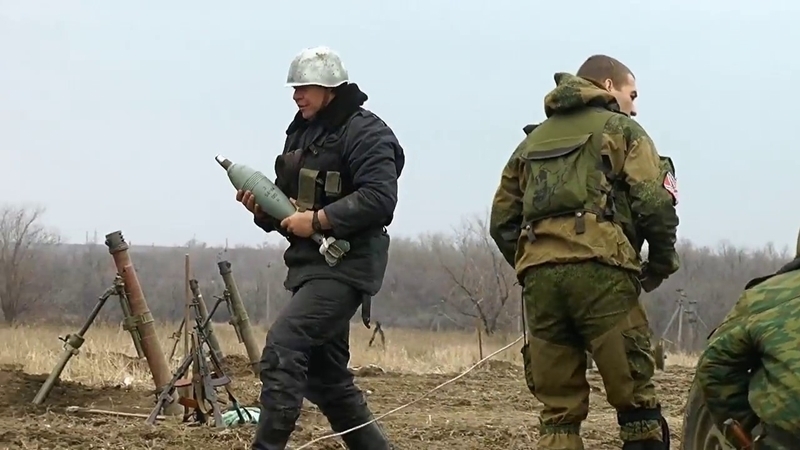 The ATO headquarters notes that such actions by mercenary fighters indicate an interest in further escalation of the conflict and unwillingness to respect the ceasefire regime. Earlier, terrorist groups violated the "New Year ceasefire" in the zone of the Antiterrorist operation in the Donbas and shelled the positions of the Armed Forces of Ukraine in the Svitlodar arc.